Start a public health degree at American Public University. Social media sites have become popular for networking and exchanging ideas. According to the Pew Research Center, 68% of American adults use Facebook, the primary social media platform in the United States. Many of us share photos, comments, opinions or ideas using other online sites, including Instagram, Twitter, LinkedIn and Snapchat. 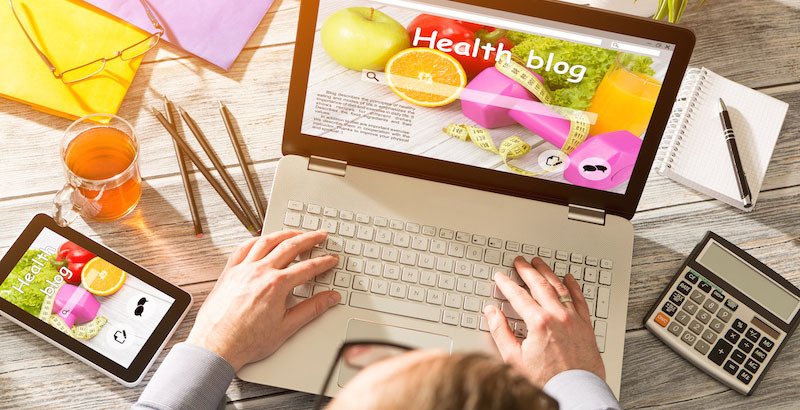 With so much information at our fingertips via the Internet, we can quickly gain a lot of healthcare information about current trends or tips to improve our lifestyle. However, it is just as important to know how to use this information effectively and to ensure you receive accurate information. I have been personally impressed by Instagram photos showing how people have used social media to overcome eating disorders. A Twitter chat site, #milfamsreachout, has provided guidance and help for suicide prevention. Social media sites can be valuable tools for personal health questions. You can conveniently access relevant information without time-consuming searches for multiple websites. In addition, social media sites are mobile-friendly and provide easy access to information. Social Media Health Information: Is It True or False? Social media sites provide great information, but they also provide misinformation. You can’t always believe the meme that a friend or colleague has posted. Fact-finding and fact-checking are skills that can help you sift through the mountain of Internet content. When I see some statistics or (supposed) facts about a healthcare concern or a medical study posted on Facebook, I look for the source of the post and search the Internet for specific details. All too often, I find the medical “facts” to be false. One great way to sift fact from fiction is to go directly to the appropriate health agency’s website. For example, if you want to know about flu symptoms, you can find factual information on the Centers for Disease Control and Prevention website or CDC posts on Facebook. To find credible websites, it’s best to use keywords in search engines. However, you should also focus your search for reputable content from sources such as organizations (.org), government (.gov), or education (.edu) websites. The Medical Library Association has a list with some useful health websites. According to the American Public Health Association, “public health promotes and protects the health of people and the communities where they live, learn, work and play.” This idea goes beyond our physical location into our environment. The Journal of Medical Internet Research publishes many articles about how to use social media to publicize public health programs or to recruit participants in healthcare studies. Because social media can reach individuals globally, they are also an excellent resource for tailoring programs to different interests or populations. 1. ‘Like’ or ‘Follow’ credible health pages: Many health organizations use social media to distribute valuable health tips, breaking news and current research. “Liking” or “following” these sites will give you a direct feed to their online posts. These sites are especially useful when you need current information quickly, such as during a hurricane or other natural disaster. As part of an APUS-funded research grant, AMU/APU recently launched a public health Facebook page designed to provide reliable health information to our online community. 2. Find support (online friends or groups): Everyone needs a support system in their life. We need people to give advice, to listen to us and to love us. Your support system can include your family, friends and co-workers. It can also include online support such as your Facebook friends, Instagram followers or shared interest groups. When we want to meet important health goals, we need their support more than ever. It is hard to push away ice cream in favor of a dish of carrots or to walk a mile when you’re tired. Having a support system will keep you motivated and determined to achieve your goals. 3. Share health goals and progress: Steve Graef, a licensed sports psychologist at Ohio State University, believes that sharing your health goals with others creates accountability and can help you meet those goals. Although I have been an avid Internet user for years, I ignored social media. However, I have since learned how to access factual health information and engage with online health communities using social media sites. As a result, I have become an enthusiastic user of those sites to enhance my health. Dr. Jessica Sapp is an associate professor in the School of Health Sciences at APUS. She has over 13 years of experience in public health, working in various environments including government, hospitals, health insurance, community, international, corporate and academia. Jessica earned her D.P.H. in health policy and management at Georgia Southern University and a M.P.H. in health promotion, education and behavior at the University of South Carolina. She also has a B.S. in health science education from the University of Florida.